Freckled Citizen: 'A Whole lotta happy' about my new poster! I'm feeling some major hometown love right now. 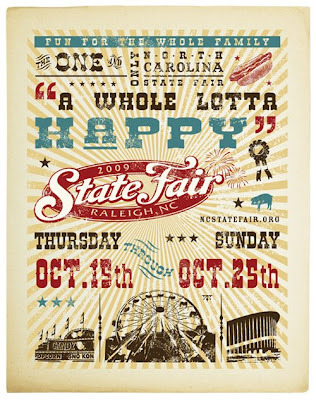 After falling head over heels for these designs, I promptly set about trying to win one of the posters to frame at home. While they'll be widely distributed around Raleigh, this long-distance Tarheel could leave nothing to chance by not securing one early. 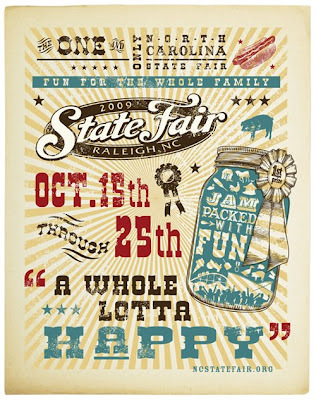 For two months now, I've been stalking the NC State Fair via their blog and Twitter account in hopes of winning one of their poster contests. And this morning... me, a winner! My walls are eagerly awaiting their new decor. And I am eagerly awaiting late October, when my family has kindly scheduled their traditional fall pig pickin' to coincide with the last weekend of the fair. That way, my travel miles get more bang for the buck... double the NC goodness in one weekend. Trevor has never attended a family pig pickin' or the NC state fair, so it's "fair" to say his life will be forever changed that weekend. So glad you were able to secure a poster! 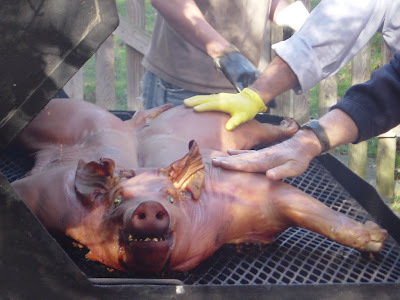 ok that pig is FREAKING ME OUT! Did you look at its face. CREEPY! Can't wait for CT this week! Again... why did I not see this blog post? Was this during the time after Blogger Incident '09? Hmmmm. 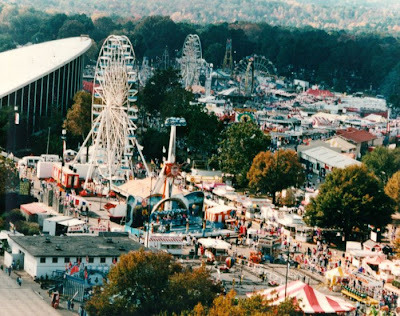 ANYHOO, I loooooooooooove the state fair! Of course, my peeps are Beef Peeps. But we can still hang.